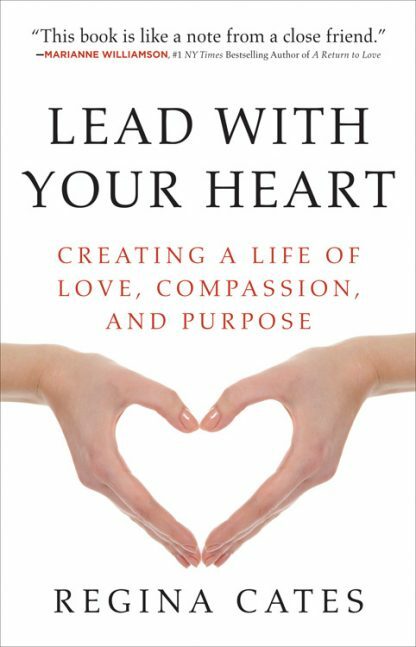 In Lead with Your Heart, author Regina Cates asks us to question our notion of what success and happiness really mean. Through the sharing of her own personal stories as well as providing helpful meditations, questions, and exercises, Regina offers a combination of wise advice, compelling anecdotes, and practical strategies for living a life that is authentic, fulfilling, and healing. Regina is well qualified to help others down this path. While sitting alone on her forty-third birthday, Regina hit an emotional bottom with the realization that prior to that moment, she had been caught up in the rat race of trying to live up to other people�s expectations, and as a result, she had given away one of her most important gifts: the power of choice. Regina realized that while we can�t control other people or situations, we do have a choice in how we respond to them. Regina shows us that if we choose to act from a place of love instead of a place of fear, we make our lives and the lives of those around us better in the process. Throughout the book, Regina shares her amazing (and often heart-wrenching) stories of how she moved away from a volatile, victimized frame of mind to a place of making conscious actions and decisions from a centered, heart-driven state. By following along with Regina�s personal stories and practicing the exercises she�s developed, we can all learn how to choose positive, heart-centered solutions for the difficulties in our life. Regina Cates is the co-founder of Romancing Your Soul, and her Romancing Your Soul Facebook page has close to 100,000 engaged followers. Regina conducts workshops, teleclasses and one-on-one sessions to help people uncover love and meaningfulness in their lives. She lives in Los Angeles, CA.